Sorry for being a day over-due! My auto-publish had a date mix up! Can you say CUTE!! Laura (Lulu) is such a talented artist and it's obvious when you browse through her portfolio. I love how her sketches comes to life with colour (but even on its own her line work is amazing!) and I'm so inspired by how her creativity translates into pictures- just check out her landscape illustrations! Gorgeous. I also love how her sketches have such a nice animation feel to them- something I'm still working on! Right now I'm happy with how my illustrations look like something you find in magazines and story books, but hey, who knows one day I might want to venture into animation! When that time comes, I hope my illustrations look half as good as Laura's (lulu's)! Paper meets art! Meghan's pieces are bold, attractive, bright and unique. Her pieces are really eye-catching and detailed that it's crazy to think how many hours must have gone into creating those pieces! Hours well spent I say because it's these pieces that really speaks volumes of Meghan's talents (and steady hands!). Another case of YOU SHOULD DEFINITELY PLAY WITH YOUR FOOD! 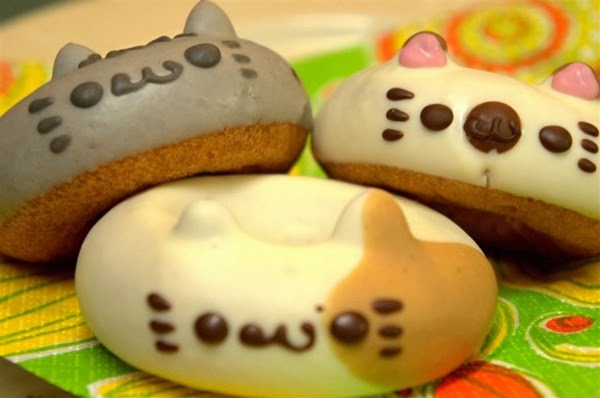 Who knew doughnuts with it being round and "holey" could make such cute canvases for the most cutest animals. My favourite, no surprises, is the cat. Followed by Kero-chan. This site makes me so thankful that I have amazing clients who are probably the easiest of people to work for and with! I cannot thank my lucky stars enough to be able to cross paths with each of you <3 And for the times I did have the occassional one or two unreasonable clients.... I just remind myself that I get to draw and I love drawing.. so I've already won! I have a craze for suitcases lately and I want them in my new home!! So vintage, so chiq, so eclectic! Love! 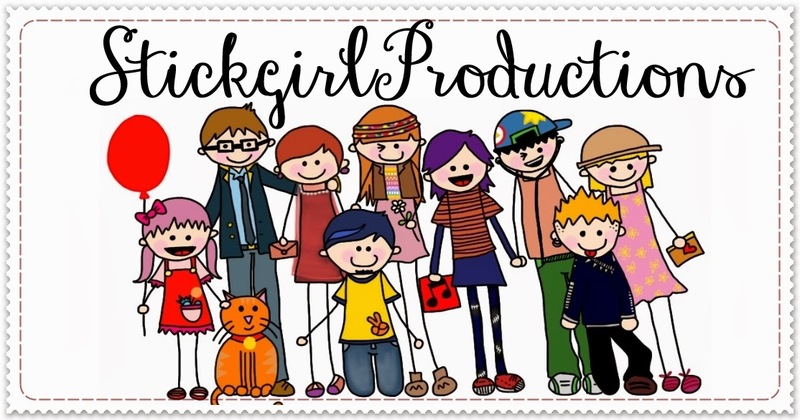 All artwork belongs to Stickgirl.Productions. Simple theme. Powered by Blogger.